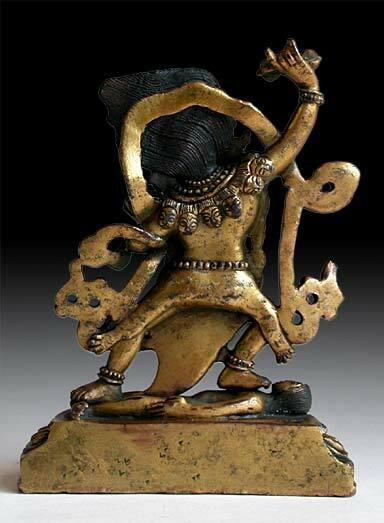 This wildly expressive statue, only inches in height, possesses a furious and potent energy compacted into its small mass. 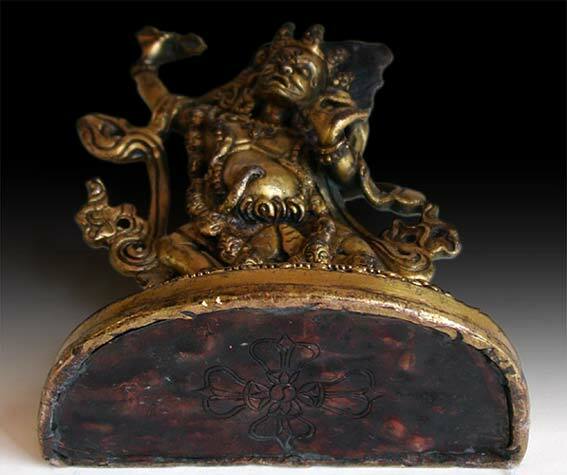 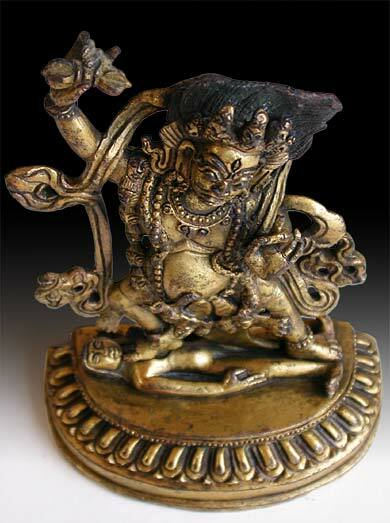 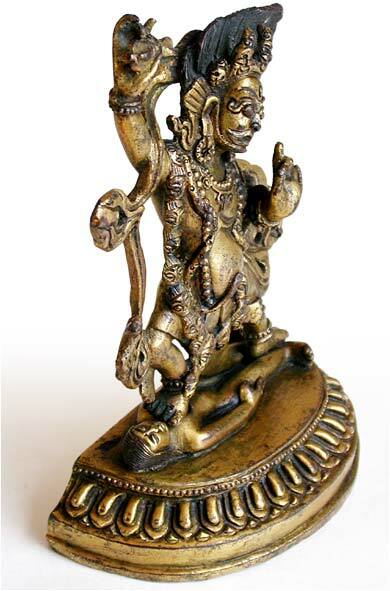 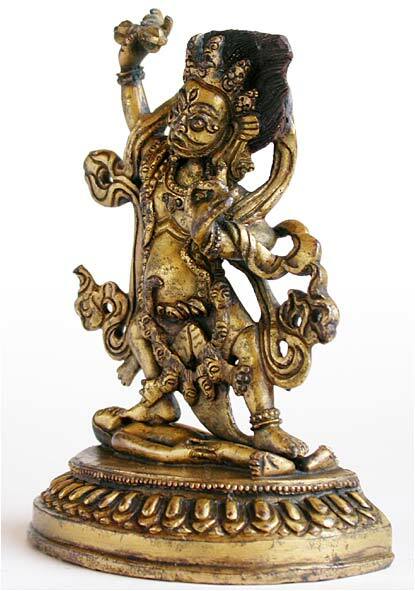 A virile, authentic Tibetan yidam, this Vajrapani was no doubt an important presence in a Buddhist altar. 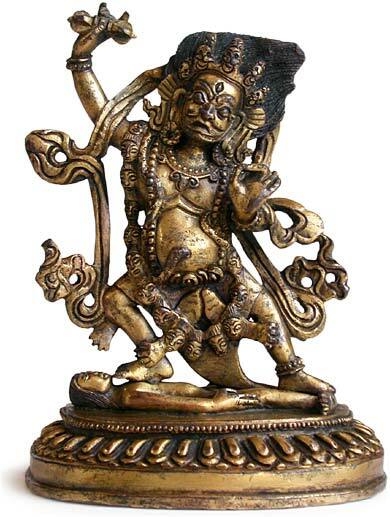 Along with the very detailed and symbolically extensive rendering, the work is sealed at the bottom, indicating that a ceremony was held calling Vajrapani into the statue, after which it was consecrated and engraved with the double vajra.